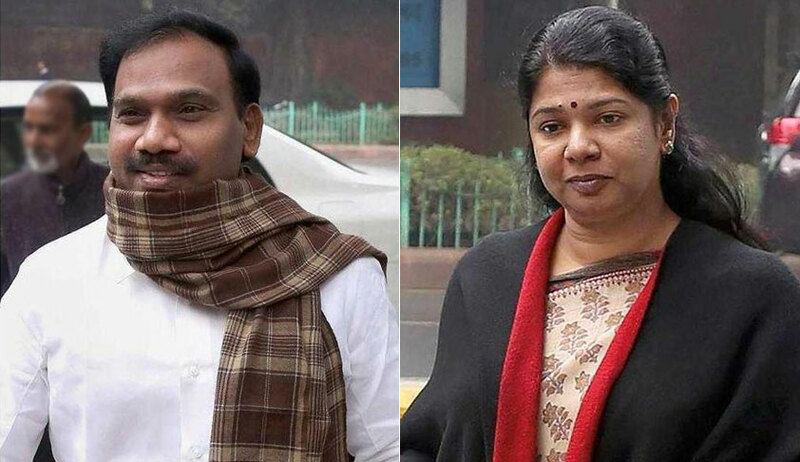 In a major setback to the CBI and the ED, a Delhi court on Thursday acquitted all accused including DMK leaders A Raja and Rajya Sabha MP Kanimozhi in the high-profile Rs 1.76 lakh crore 2G scam case while holding that the prosecution has failed to prove its case beyond reasonable doubt. Special CBI judge O P Saini acquitted all accused in the cases – one filed by the CBI on Essar Group promoters Anshuman and Ravi Ruia, its director (Strategy and Planning) Vikas Saraf, Loop Telecom promoters Kiran Khaitan and her husband I P Khaitan. It had also chargesheeted Loop Telecom Pvt Ltd, Loop Mobile India Ltd and Essar Tele Holding for alleged corruption and favouritism and the other case of money laundering. The court found that there was no evidence before the court indicating any criminality in the acts committed by the accused persons in fixation of cut-off date, manipulation of first come first serve policy, allocation of spectrum by ignoring the ineligibility of the companies like Swan Telecom Pvt Ltd etc. The verdict comes as a huge setback for the probe agencies as it saw filing of charge sheets running into lakhs of pages and intense media coverage with the scam being seen as one of the biggest in the UPA government. The CBI in its charge sheet filed in 2011 had alleged that Raja had conspired with his former private secretary R.K. Chandolia to shift the cut-off date for consideration of applications to be received up to September 25, 2007 for allotment of 2G spectrum to illegally benefit Unitech MD Sanjay Chandra, Swan Telecom’s Shahid Balwa and Vinod Goenka. It had named 17 persons as accused in the case which involved names like film producer Karim Morani and others in the money trail which finally saw money being stashed in Kalaignar TV. However, when the noose tightened and irregularities surfaced, the reverse money trail came into process. August, 2007: Department of Telecom starts process of allotment of 2G spectrum and USA licences. September 25, 2007: telecom ministry issues press note on deadline for receiving application as October 1, 2007. January, 2008: Cut off date preponed to September 25. Dot decides to grant licence on first come first serve basis. It later causes rush by announcing that those who apply betwee 3:30 to 4:;30 PM would be considered. 2009: Radia tapes go public. Shows nexus between Raja and Radia and others. Raja resigns as telecom mnister. Kapil Sibal takes the additional charge. October, 2011: Charges framed against all 17 accused. 2012: 122 licences granted by Raja cancelled. 2014: Raja says he acted in consonance with then Prime Minister Manmohan Singh.